A NEW regional amateur league is set to kick off this year, aiming to provide new opportunities for players most especially those from the provinces. Named Filsports Basketball Association (FBA), the league is targeting a November opening with at least eight teams across the country seeing action in an effort to develop cage talent from the grassroots level. “We are focusing on grassroots, meaning we are equipped with our vision to have teams from various cities,” said FBA director and spokesperson LJ Serrano in an interview with Spin.ph. “This is a nationwide league na ang concentration is sa mga siyudad, bayan, at lalawigan na ang pakay is to be able to discover a new breed of future legends so to speak,” he added. Serrano said former PBA cager Vince Hizon has been appointed as commissioner of the league, which is open to ex-PBA, amateur, and collegiate players. Each team, however, is required to have a certain percentage of players coming from the locality it represents. “Isa sa mga requirements namin is at least 40 percent ng mga manlalaro ay galing sa kanilang bayan na pinag-lalaruan,” said Serrano. He added the FBA will have a nationwide reach on television as GMA Network will be carrying the league's games. Serrano said the FBA is eyeing to put together at least eight teams in the inaugural season as it is in the middle of negotiations with groups that will join and commit to the league for three years. The regional basketball concept was first introduced in the country during the time of the Metropolitan Basketball Association (MBA), which ran from 1998 to 2002 and rivaled the established Philippine Basketball Association (PBA). Interestingly, former national coach Joe Lipa is also set to open a new regional commercial tournament named Countrywide Developmental Basketball League which is looking at a July opening. The league will reportedly be aired over GMA's rival network ABS-CBN. But Serrano made it clear the FBA is different from the MBA and other regional league-based format tournament. It is not out to compete with any current basketball leagues including the PBA, which also runs the amateur-based D-League. “The first order of business is to get to talk with Commissioner Chito Salud. Upon my talks with Commissioner Chito, we will work hand-in-hand with them. 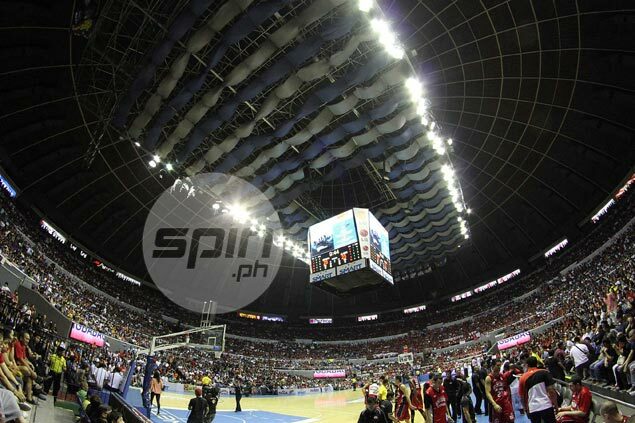 Definitely, wala namang ibang paglalaruan ‘yan kundi ang ating PBA,” said Serrano. Serrano emphasized the league is out to discover new talents. “Gusto natin magsimula at bigyan ng pagkakataon ‘yung from scratch na makilalala ka. Dito uusbong ang bagong (Dondon) Hontiveros, Arwind Santos, and Willie Miller, at kung sino man. Hindi siya far-fetched dahil nationwide, maraming hindi nabibigyan ng pagkakataon,” said Serrano.